As women near the end of their fertile years, they often experience a number of menopause symptoms. These symptoms affect women to varying degrees and at different ages, with the average being between ages 45 and 55. While symptoms of menopause have a real impact on physical and emotional well-being, they are not permanent and can be treated effectively. 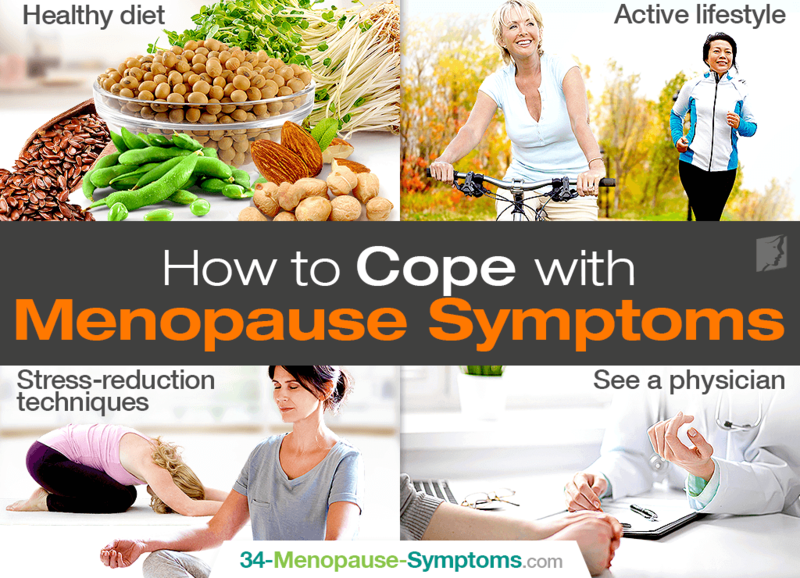 Continue reading to learn about common symptoms of menopause in addition to how you can cope with them so that you can feel empowered and mindful of what's happening in your evolving body. Hormonal fluctuations are a completely normal part of menopause. As a matter of fact, one of the primary causes of menopause symptoms is loss of ovarian function, resulting in these drastic hormonal changes. Unfortunately, these fluctuations typically trigger menopause symptoms. Keep in mind that this list is not exhaustive. There are over 30 symptoms that women have reported experiencing, making no two transitions the same. Also, of all aforementioned, the most common symptom of menopause is hot flashes, occurring in about 75% of all women. The discomfort caused by common symptoms of menopause can often cause excess stress among perimenopausal women as they adjust to the changes they're experiencing inside and outside of their bodies. But fear not, there are a variety of menopause symptom treatments available for a smoother transition. For starters, a healthy diet rich in phytoestrogens and an active lifestyle to promote endocrine system health have both been shown to help balance hormones and improve symptoms, in addition to improving overall health and well-being. Also, many women find that stress-reduction techniques of yoga, deep breathing exercises, and meditation are effective tools when it comes to battling symptoms of menopause. Nevertheless, it is advisable to see a physician to be certain the symptoms are caused by menopause and not other health conditions before pursuing a treatment regimen. The end of a woman's reproductivity does not have to equate the end of her overall health and well-being. Although common symptoms like low libido, irregular periods, vaginal dryness, mood swings, hot flashes, and more may plague her years to come, management is right around the corner. Coping with menopause symptoms starts with lifestyle changes of an enriched diet, regular exercise, and healthy habits, such as those proven to reduce stress. As always, consult with your doctor before pursuing treatment in order to correctly diagnose your symptoms.